There are twelve (12) listed cities and towns and over fifty (50) listed attorneys that practice bankruptcy law in the State of North Dakota. Most of these attorneys have offices in the larger cities (Fargo, Bismarck, Grand Forks and Dickinson). Others are located in the communities of Beach, Devils Lake, Jamestown, Mandan, Minot, Valley City, Wahpeton and Williston. Beach - Beach is the county seat of Golden Valley County. Communities in close proximity of the of the attorneys listed include Medora, Trotters, Golva Belfield as well as Dickinson. Bismarck - Bismarck is the capital of North Dakota, the county seat of Burleigh County, and location of one of the two U.S. Bankruptcy Courts. Towns and cities nearby include Sterling, Mandan, Wilton, New Salem, Selfridge and Lincoln. Devils Lake - Devils Lake is the county seat of Ramsey County and located 80 miles from Grand Forks. Towns and cities nearby include Churchs Ferry, Michigan, Warwick, Carrington and Lacota. Dickinson - Dickinson is the county seat and largest city in Stark County as well as location of 341 meetings (meeting of the creditors). Towns and cities near Dickinson include Medora, Butte, Bowman, New England, Grassy Richardton and Belfield. Fargo - Fargo is the county seat of Cass County and the largest city in North Dakota. It is the main U.S. Bankruptcy Court in North Dakota. Communities nearby include Jamestown, West Fargo, Abercrombie, Valley City, Casselton and Argusville. Grand Forks - Grand Forks is the third largest city in the state and the county seat of Grand Forks County. It is located approximately 80 mile north of Fargo and borders the state of Minnesota. Jamestown - The City of Jamestown is the county seat of Stutsman County and located between the cities of Bismarck and Fargo. Communities nearby include Pingree, Medina, Hastings, Edgeley and Valley City. Mandan - Mandan is the county seat of Morton County and is located just outside of Bismarck across the Missouri River. Minot - Minot (county seat of Ward County) is located in the northwest section of North Dakota. Communities that are nearby include Max, Granville, Velva, Kenmare and Berthold. Valley City - Valley City is the county seat of Barnes County. Towns and cities located near Valley City are Casselton, Jamestown, Dazey, Pillsbury, Hastings, Tower City and Dazey. Wahpeton - The City of Wahpeton is in the southeast corner of the state and is approximately 50 miles south from Fargo. Communities nearby include Abercrombie, Wyndmere, Lidgerwood, Milnor and Hankinson. Williston - The City of Williston is the county seat of Williams County and is located in the northwest corner of North Dakota (bordering Montana). Communities located nearby are Ray, Fortuna, Watford City, Tioga and Alamo. 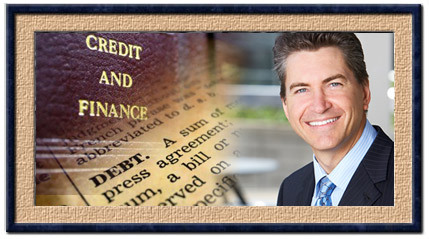 Two attorneys (Roger J. Minch and Clifton G. Rodenburg) are Bankruptcy Specialists certified in "Creditors Rights". 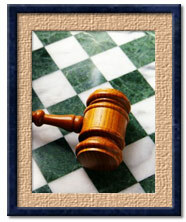 They are certified by the American Board of Certification and their law offices are located in Fargo, North Dakota. For more information please read Bankruptcy Specialist. The District of North Dakota / United States Bankruptcy Court (region 8) has courts in the cities of Bismarck and Fargo. The North Dakota Bankruptcy Trustee office is located outside of the state in Sioux Falls, South Dakota. The Chapter 7, 12 and 13 trustees' location of practice and location of 341 meetings are within the state of North Dakota. The North Dakota State Bar has available a number of services for the public. They include filing a complaint against an attorney, an informational lawyer directory and a comprehensive referral service (including bankruptcy).